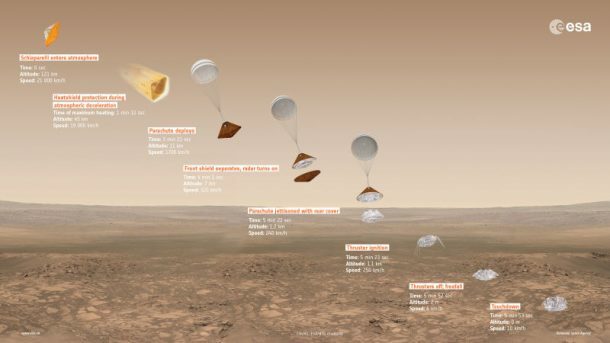 The European Space Energy tried to land their Schiaparelli lander on the Mars surface yesterday. However, things did not go according to the plan. The scientists involved in the ExoMars mission revealed that the signals from the lander were cut off 50 seconds before the landing. 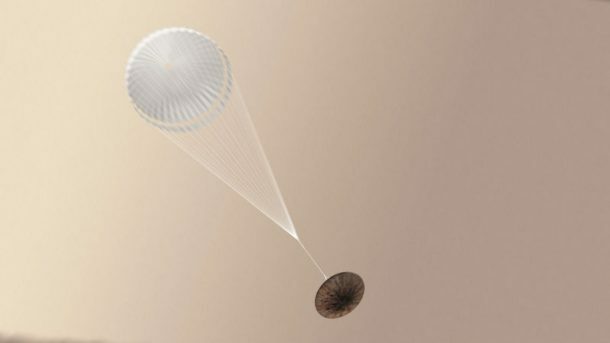 Experts believe that as the Schiaparelli entered the final landing stage, something went wrong in the system just as the parachute was jettisoned. The full story of the incident will come out once ESA is done analysing data collected through the satellites and telescopes. Mission ExoMars is a joint effort of ESA and Roscosmos. The mission intends to look for the signs of geological and biological activities on Mars. The mission reached the Red Planet after seven months of the exhaustive journey. The Trace Gas Orbiter sent with the ExoMars became the second ESA satellite to circle Mars after it beautifully completed its orbital insertion. However, things did not go too well from there. Schiaparelli Entry, Descent, and Landing Module did not go as planned. The mission was to arrive in a single piece on the Mars surface yesterday. An automatic landing sequence was responsible for the landing routine including the heat shield release, parachute deployment, ballistic entry, and firing the retro-thrusters for 30 seconds just before the touchdown. 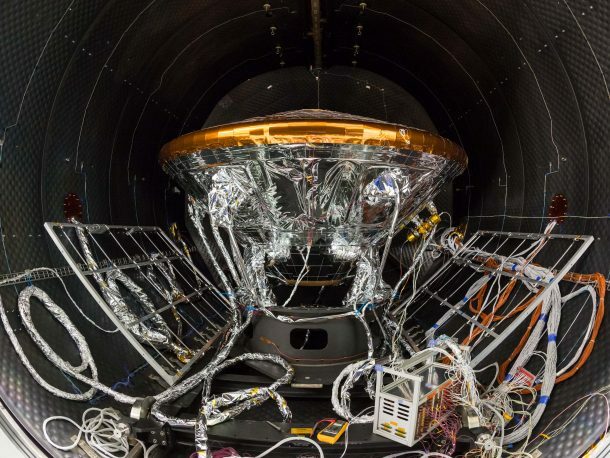 The Giant Metrewave Radio Telescope (GMRT) received a signal from the Schiaparelli before it landed. However, the signal was lost afterwards. ESA is trying to locate the lost lander using the Mars-orbiting satellites like Mars Express of ESA, MAVEN probe, Mars Reconnaissance Orbiter, and TGO sent by NASA. For now, it appears as if Schiaparelli entered the Martian atmosphere successfully. 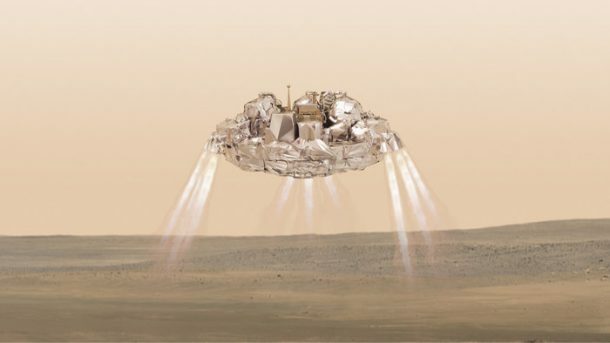 ESA thinks that as the mission was a kilometer or so above the surface of the Red Planet, the lander ran into trouble. Apparently, the thrusters did not fire for 30 seconds which led to the failure. The transmission from Schiaparelli went dead nearly 50 seconds before the landing. ESA plans to send its larger mobile rover to Mars in 2020 and the mission ExoMars was a dry run conducted by the space agency.